The theme for Holocaust Memorial Day in 2017 was ‘How Can Life Go On?’. Holocaust Memorial Day takes place on January 27, this date marks the anniversary of the liberation of the Auschwitz-Birkenau concentration camp in 1945. 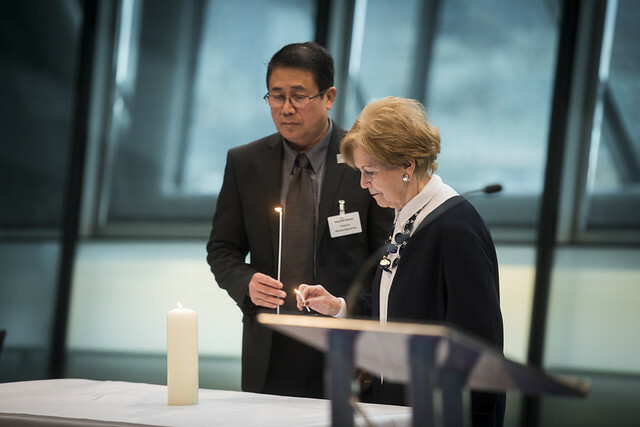 The Holocaust Memorial Day ceremony at City Hall was presented by the Mayor and the London Assembly. Our thanks to the Holocaust Memorial Day Trust, the Holocaust Educational Trust and the Jewish Music Institute for their support for this ceremony.